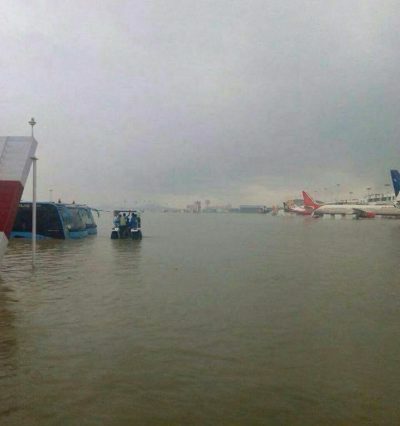 Today, some pictures are going viral on social media of airplanes literally floating in flooded airport. And it is said that the airport is Chandigarh airport. Check the news on IndiaTimes. AND the MOST INTERESTING THING is even the pictures here used by India Times are said to be not real. CHECK the three pictures in the AirliveNet’s Twitter Status & NOTE the date and year! It is drawn from Airlivenet’s twitter account. 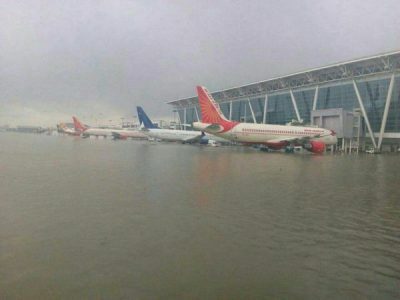 Pictures are of Chennai airport that too of 2015! !